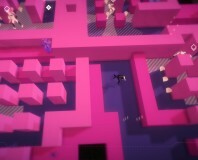 Volume is a loving homage to stealth games that doesn't quite live up to its idols. A new study into the health implications of personal audio players warns that up to five million people across the EU could suffer hearing damage in the next five years. Anti-spam firm MessageLabs has published figures showing that spam now accounts for 81.5 percent of all e-mail traffic world-wide, and names the ten worst US states for spam. Fearing that users aren't smart enough to know whether they're sending themselves deaf listening to music, Apple patents an automatic volume limiting system for iPods. CES 2007: How many Dolby technology buzzwords can we get in one title? 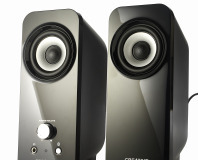 The sheer Dolby Volume of Dolby Headphone references suggest we can 5.1 Creator quite a few. Microsoft is set to change the way that it does its Corporate Volume Licensing when Windows Vista is released. This is an attempt to crack down on pirated versions of the operating system. Apple has released a firmware update for the iPod Nano and Video iPod that lets users limit the volume coming out through their device. I said it limits the volume. I SAID... nevermind.